Farmers in Supingstad near Zeerust in the North West have an unexpected predator to keep at bay, the Southern Rock python. A sight that would send many running for the hills. Farmers in Supingstad are used to leopards hunting their livestock. But it’s the first time they’ve come across a Southern Rock Python killing one of their animals. It was first seen wrapped around a small calf. It took the snake hours to swallow the animal. The next day it was found under a nearby bush with a very full belly. Although the community says it won’t kill leopards or pythons because they are a protected species, they want compensation for their losses. However, python numbers are dwindling in the wild as they are caught for the muti trade. Even though the Southern Rock Python will instill fear in many, in Supingstad it will remain protected. 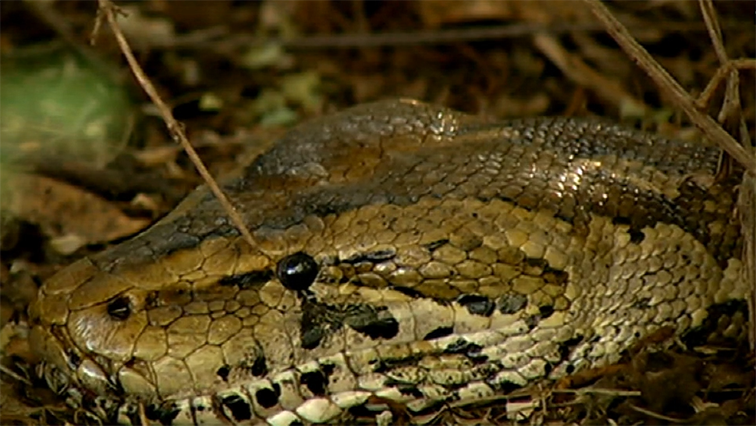 The post Southern Rock python has Supingstad farmers concerned appeared first on SABC News – Breaking news, special reports, world, business, sport coverage of all South African current events. Africa's news leader..